Co-ops looking for cash are selling roof rights to build luxury penthouses, said Marc Spector, of the Spector Group. MANHATTAN — The financial markets are unstable, unemployment remains high and credit is tight, but that hasn't seemed to hurt Manhattan's real estate market much in 2011. Buyers from China, Russia and South America have turned to Manhattan real estate as their own economies and residential markets have been in flux — and they've been plunking down all cash for amenity-laden condos. "The foreigners are leading the way," Jacky Teplitzky, a managing director and team leader of the Jacky Teplitzky team at Prudential Douglas Elliman, said after returning from a recent work-related trip to Brazil. "From South America, No. 1 is Brazil, and the reason is their economy is extremely strong," she said. "They haven't been hit by the credit crisis. The exchange rate is extremely favorable. The local real estate is really expensive." Teplitzky said Brazilians she's worked with tended to follow their friends to the East Side between 57th and 79th streets. Jonathan Miller, an expert real estate appraiser, wrote in Prudential Douglas Elliman’s third quarter report for 2011 that foreign buyers were likely to be the reason that the number of condo sales hit a four-year high (while co-ops, which are notoriously difficult for foreign buyers to purchase, remained unchanged). "In any country, if their economy is up and down and precarious and unbalanced, they still see the U.S. as a safe place to invest," said Doug Heddings, of the residential boutique firm, the Heddings Property Group. Heddings saw an "explosion of foreign buyers," especially from China and Russia in 2011. Chinese families, for example, were attacted to properties featuring the latest techology and amenities for their children so they could attend college here, even if they're years away, he said. Brokers said they've been pleasantly surprised by the activity in Manhattan's rental market, and as a result are predicting more high-end rentals and more condos turning rental. "Peak season for rentals is usually the summer, but even now we are busy in the rental market," said Teplitzky, whose team recently rented out apartments for $8,000 a month and $5,400 a month. 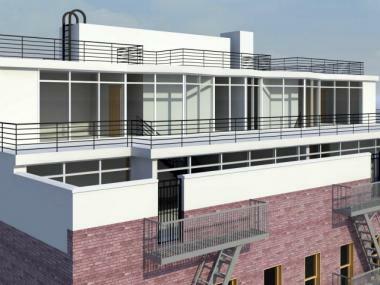 With a "lack of inventory in that market" for luxe rentals, "the trend is going to continue through 2012," she said. "The rental market is certainly where the action is," said Stephen G. Kliegerman, president of Halstead Property Development Marketing, noting that bankers and lenders would rather see rental income for buildings than have properties sit empty. "In the economy like this when people are skittish they turn to the rental market. When they're bullish, they turn to condos," he added. But to maintain such high rents, developers are expected to have top of the line amenities for their tenants, he said. Real estate firms are seizing on new technology for smart phones and tablets, making apps more accessible and therefore making research easier for buyers. Also, with the rise of websites such as Buyfolio.com and Streeteasy.com, the pricing history of Manhattan's real estate market has become more transparent, brokers said. "I think the transparency with pricing history is fabulous," said Kathy Braddock, co-founder of Rutenberg Realty. "It's going to make the consumer understand better what they are doing in the market, and all this data is going to force the agent to be better educated. Once you feel comfortable as a consumer, it makes you feel confident to pull the trigger to buy, to rent, to sell." Kliegerman said his company was working on a new advertising platform for 2012 that would step up the company's use of technology and social media. "I think we'll see technology rear it's head in a lot of places: day-by-day, minute-by-minute updates of what's happening at a development and what's selling," he said. In a city where land is a premium, buildings are increasingly looking skyward to build new apartments to take in some extra cash, as well as for places to put new recreational amenities or even for the latest eco-friendly projects. "When co-ops are in need of cash, buildings are selling roof rights and building magnificent duplexes and penthouses," said Marc Spector, principal of architecture firm the Spector Group. "On the Upper East Side, we had a client purchase the roof for $2.5 million, and for $5 million we built the most unbelievable penthouse. It's worth more than $15 million." While many buildings have added rooftop community gardens to become more eco-friendly, Spector said his firm — which has an eye on incorporating the latest green building technology into its work — is hoping to do something even bigger. It's working with a large property owner in Manhattan and the Bronx on a feasibility study to develop rooftops full of solar cells. The Spector Group is also exploring the possibility of building some big rooftop recreational facilities. "A number of buildings are looking to do a Chelsea Piers-type thing on their rooftops, with winter and summer sports," he said. But the market's not saturated with high-end units. Some buyers and sellers are thinking twice about spending too much on real estate these days. Sellers are being more careful with pricing and developments are re-considering some over-the-top amenities for fear of scaring away buyers who might be wary of paying high maintenance costs. "The days of golf simulators and wine rooms may be over," Kliegerman said. "The cost to operate them is too much. Developers have scaled back a bit." Heddings said that low mortgage rates are spurring buyers, but they are still concerned about where the market is heading. "Frugal has become the new black," he said. "It has resulted in marathon negotiations. During the boom, negotiations would take a few hours. In a normal market, it's a few weeks. Now, it's often 30 days before going into contract." Heddings believes prices are back to where they were in 2007, but that people have more buying power with the low interest rates. "More people are being cautious about pricing their apartments," said Teplitzky. "The sellers are interviewing more brokers before making decisions. There is a concern in the marketplace. People are taking their time." With the uncertain economy, Braddock has seen heavy interest in such "tried and true" neighborhoods such as the Upper West and Upper East sides, rather than emerging markets. "It gives them some sense of stability," Braddock said.